In La resistència íntima: Assaig d’una filosofia de la proximitat (Intimate Resistance: Essay on a proximity of philosophy), Josep Maria Esquirol goes briefly through the work of the most important philosophers and writers in history such as Nietzsche, Heidegger, Socrates, Plato, Pascal, Sartre, Voltaire, Camus, Tolstoi and many others, in order to understand why we should praise simple details such as having lunch with the ones we love, sharing a conversation or, just, enjoying the simplicity behind human existence. Thanks to this short text, the reader has the possibility to learn from someone who has studied profoundly the most important influences in the philosophical field. 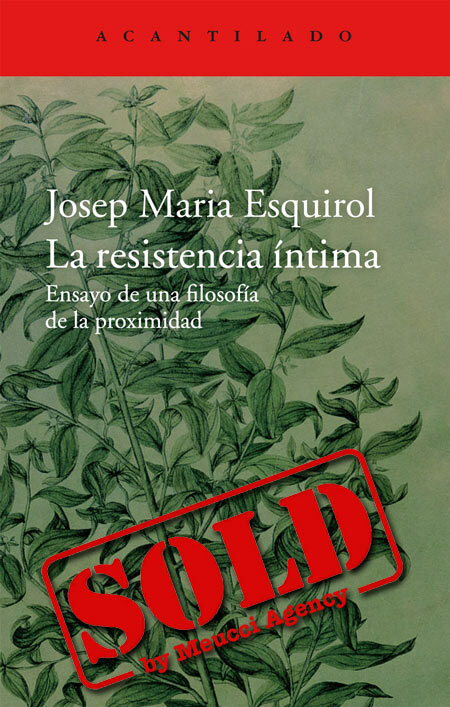 They all reflected about existence, nihilism, the anguish of existence, the resistance against the human decadency and Josep Maria Esquirol’s, in a beautifully written essay, through his reflections about their work and his own, helps us understand a little bit better the nature of the human mind.